One weekend not so long ago I was invited to my friend's house in the South of France. 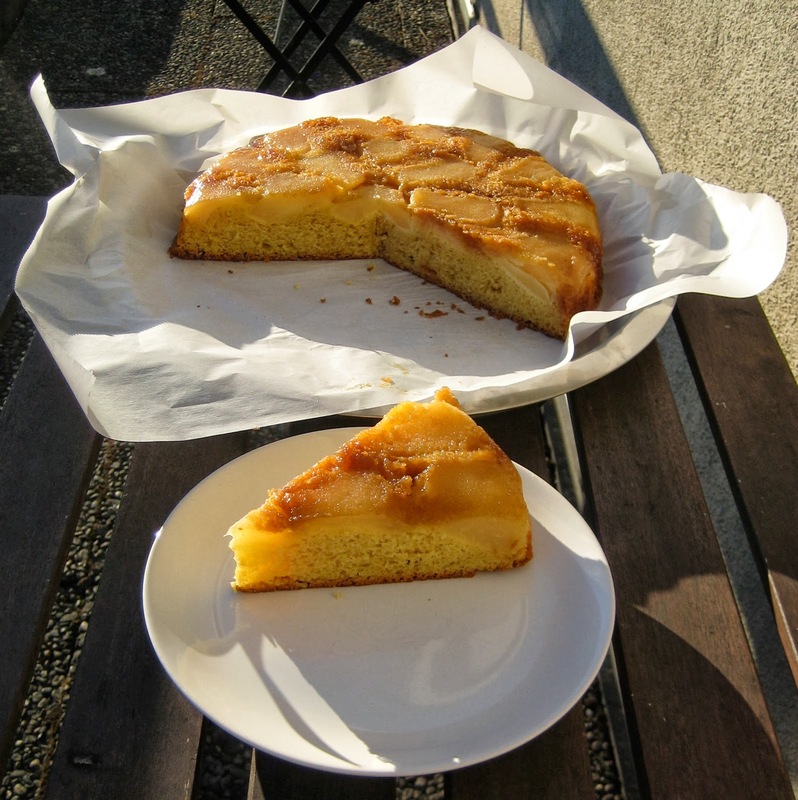 Upon our arrival, we were greeted with a wonderful soft pear cake, called "fondant aux poires" for it was melting in the mouth. 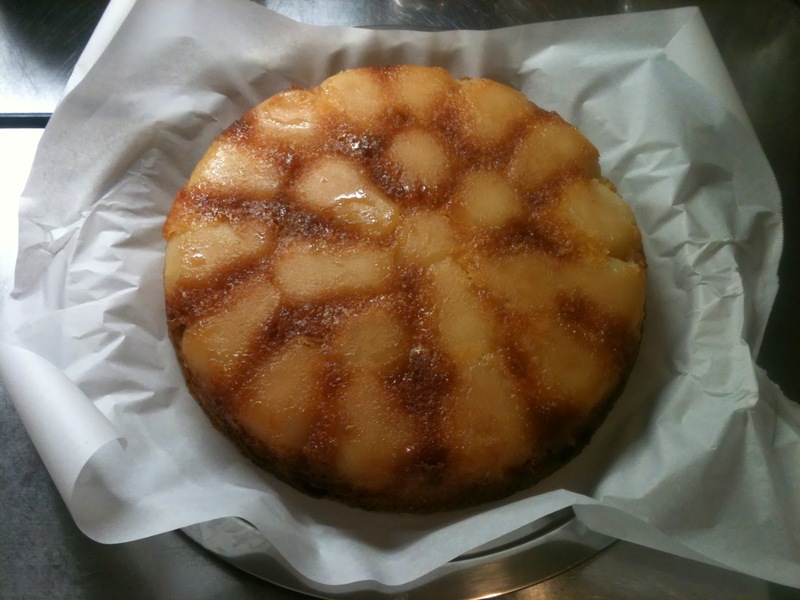 Pears are caramelized in a tatin tart form then the dough is added and the cake baked. 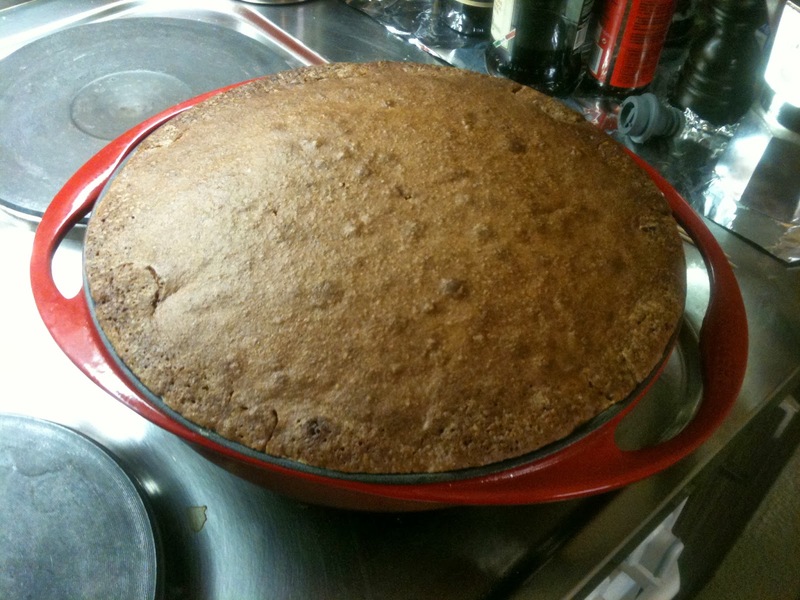 After baking, the cake is flipped and appears caramelized all over. So good! In a cake form (not a spring form, rather one for tatin tarts) put 63 g butter and 63 g sugar. Turn the heat on and let it caramelize a bit while stirring continuously. Remove the juice from the pears and add the pear halves upside-down (the inside up). Melt 250 g butter and in a bowl add together with all other ingredients. Mix and pour on the pears in the form. Bake at 180 C 30 min in the middle of the oven, then 15 min in the lower part of the oven. Let the cake cool down for a few min and then flip it upside down onto a plate. Et voila! It's look so good !! !